Zanele was born in the northern part of South Africa’s Eastern Cape. Even as a young girl she enjoyed cooking very much, so when she completed her matric she decided to make hotel and catering management her career. In March 2008 she started working for SOSF as a housekeeper. 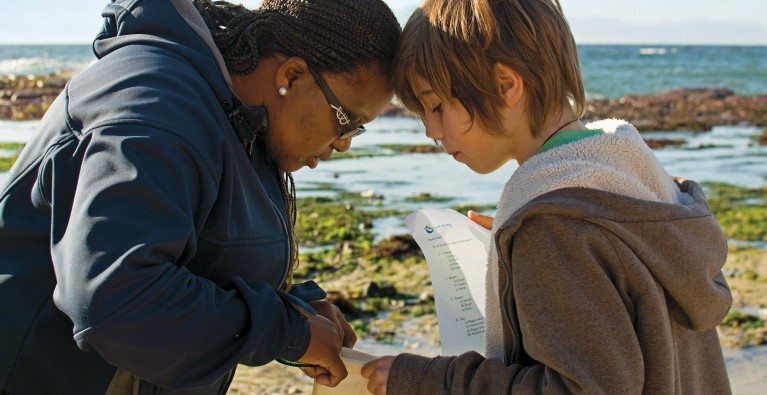 By reading SOSF books and watching videos about the ocean environment, Zanele became interested in marine life. In June 2009 she joined Alison Kock on the research boat to Seal Island in False Bay and there she saw a great white shark for the first time in her life. By the end of that trip she had fallen in love with the sea and decided to become an educator so that she can pass her enthusiasm on to the young generations of South Africa.